Supermarket fuel. It’s cheaper, therefore it must be worse, right? It must be made with liquidised pork-belly fat and the sweat ducts of a dead goat. Well, here’s the news. It is. Just kidding. Truth is, all petrol and diesel sold in the UK must meet British Standards. That means that filling up at Tesco or Asda is just as safe for your engine as doing so at a Shell or Esso garage. Every petrol station uses a standard ‘base’ fuel. It all comes from the same UK refineries. So, is there any difference at all? Well, different petrol retailers use different additives before it hits your tank. Some drivers swear by them. Others just swear at the idea of supermarket fuel. Check out the subject on any UK motoring forum online and there’ll be a bunch of blokes with names like GatsoBuzzSaw and 660bhp telling you that supermarket fuel is the juice of Lucifer. In fact, no fewer than 40% of UK drivers hold this view. The RAC and the AA both agree that petrol and diesel fuel quality is governed by the same European standard, wherever it’s sold. So Lord knows where these people get their ideas from. Maybe these are the folk who firmly believe the Royal Family are shape-shifting lizards or that Jay-Z is a time-travelling vampire. Around half of the petrol and diesel that’s currently powering UK cars comes from supermarket pumps. I’m guessing that means that if it were in some way defective, our cars would have turned into warty toads by now. All of which leads us onto the concept of standard fuels and ‘super’ versions. These will cost you around 12p per litre more. So, they better be good. But are they? Firstly, what’s the difference between premium and super fuels? Standard 95-octane unleaded often comes badged as ‘premium unleaded’. That’s not to be confused with super fuels, which weigh in at 97, 98 or 99-octane. They come with fancy names like Synergy Supreme Plus and Momentum 99. It’s like spending £6.50 on a bottle of wine, instead of your standard £4.99 (a 2006 bottle of V-Power Nitro+ is a particularly fine tipple, by the way). And, much like the vino, the effect might be the same, but it’s a smoother experience along the way. It seems these fuels do actually make a difference. Some instruction manuals, especially on performance cars, even advise you to use 98-octane fuel. We asked a man with a very high forehead and a white coat about this. He told us the octane rating of petrol refers to how efficiently it burns. The higher the figure, the greater the efficiency. At 99, it burns like a returning vindaloo. Super fuels also usually feature a nicer additive mix for better performance or economy. So, should you go for super fuels in your car? We suggest reading the manual (you’ll find it in the glovebox, next to those Smints that date back to 2013). If your manufacturer thinks it’s a wise idea, you probably should, too. But with no scientific evidence to suggest that supermarket fuel is inferior to its brand-name equivalent, we see no reason why you shouldn’t fill up when you get your groceries. Let’s face it, fuel is dear enough, thanks to the government raking in taxation, which it spends on vital public-sector projects, like organic biscuits and motivational magicians. I always had pinking issues with esso & tesco when I had petrol engine car. I changed to diesel & had economy issues with those brands. I tried various other brands texaco best for economy, but after watching 5th gear on tv with their experiment on petrol & diesel super fuels chose to try bp super diesel with added enhancers. The diesel engine is quieter,smoother, more powerful & economy has improved 10%. It costs a little more but the benefits outweigh the small extra cost. I own a Mazda RX8 and i get my fuel from places like sainsburys or esso only. I can't use tesco fuel and it makes my car run terrible and cut out Eveything. This has been tested 3 times and on every occasion the same outcome. 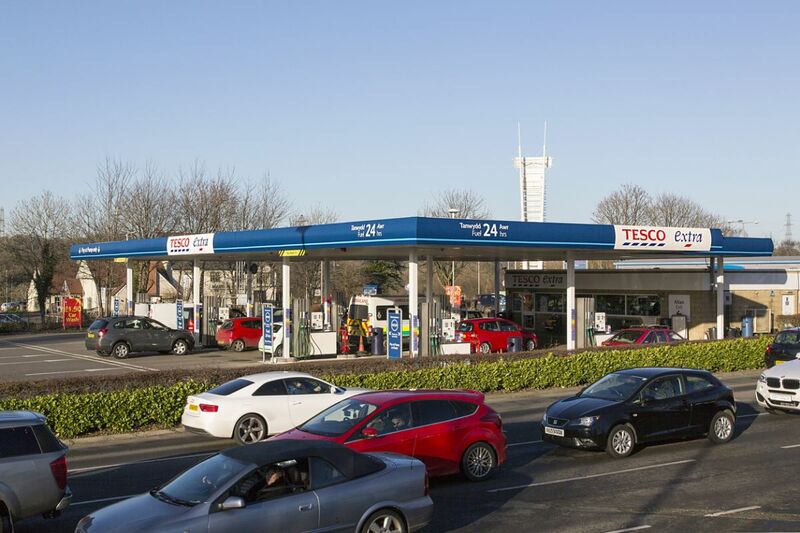 Tesco fuel is cheap and nasty! I have used supermarket petrol and diesel for years and never had any problems. All of the big supermarkets buy in bulk for all of their stores. This is something that the individual garage owners can't afford to do. I have for many years now used supermarket fuels both Diesel and Petrol and had no problems with either mpg or performance, the supermarkets get my vote for their fuel. I have a 2004 Kia Carens 2 liter auto I brought the car in 2008 and have always used Asdas diesel and so far have had no problems, now and again I add some Redex to the fuel and it is ok. I bought my first diesel car and used supermarket fuel, unfortunately the EGR valve encrusted up and eventually I had to have 2 replaced before I figured that supermarket fuel was the problem. This was 5 years ago and since then I use a premium fuel and a few drops of additive to help the fuel burn and no problems in the last three years, and I do feel that the better the fuel the more mpg I get. As mentioned 'the modern car is a complicated animal, and as such has 'systems' in place ie fuel filters, anti knock sensors, idle control valves, ecu's, etc., that control how your vehicle performs so as to achieve optimum performance. As mentioned, fuel has to meet certain standards. It would be interesting to know what fuel is used when they test a car, ie on/after production line? Worked in a refinery tank farm in Scotland supplying unleaded to the road loading station . All tankers got the same . There was one brand , Shell or Esso , can't remember , which had a station a few hundred yards away and after filling they went there , to add their additives , I was told . Everything else got the standard fuel and additives. I dio about 17,000 miles a year in my Alhambra and always brim and calculate mileage at every fill - it helps spot problems before they happen. I almost invariably use supermarket fuel and usually achieve 36 - 40 mpg depending on the type of runs I have been doing. Tyre pressures, mood and journey times all affect consumption far more than more or less of an additive. If I want an additive I can buy one periodically - most make little or no difference. Over 3000 miles in Europe on a grand tour I did get an excellent consumption figure despite being fully laden - but on holiday with mostly un-congested roads and no particular deadlines makes for better mileage anyway. Conclusion - impossible. I have managed petrol stations for Sainsbury's, Texaco and Esso. I can promise you that safety and quality is a priority for all these companies when it comes to selling their products. ALL pumps are checked by law by trading standards, rigorously, every six months to ascertain that they are dispensing accurately. They dispense 5 litre and 10 litre measures into a standard vessel both quickly and slowly to check for tolerance. Very rarely have I seen an adjustment required. The mechanism is then sealed to prevent tampering, a bit like your old gas meter. All tanks are cleaned regularly and filters are installed to prevent any debris or sediment entering a cars fuel system. Tanks are checked for water every morning and after every delivery (electronic sensor system). Like most motorists, I have used fuel from various suppliers but I have majored on the suppliers that I have been working for. I have not noticed any difference in quality or performance, only price. I drive a V8 Jaguar and fill regularly at my local Sainsbury's and have experienced no problems with fuel consumption or reliability. I suggest that we all continue to fill up where is convenient, affordable and with whatever fuel we are comfortable with and stop these silly discussions until someone has something concrete to say one way or the other. The article above draws no conclusions, despite its title and is designed to start a debate , which it has. It also bundles all the supermarkets together which is either unfair or lazy, I don't know which. Happy motoring lets enjoy the lower prices while we can. I read your article with great interest, a few years ago owning a golf diesel at the time used to travel from Norfolk to the Midlands every Monday returning at the end of the week, I used to empty the fuel tank as low as possible and fill with Shell fuel re-setting the mileage each time, on every occasion I would consistently get between 404 to 425 miles from a full tank, this I did on many but I noticed that on the first visit to Tesco's the trip mileage read 376 thinking this was in some way my error carried out the same procedure for the next 5 re-fuels all from supermarkets, all with mileage readings of well below 400 miles, after this I went back to using branded fuel, usually Shell and noticed the readings always showed 410 miles plus, so in my mind there is no doulbt that supermarket Diesel offers less mileage and when you work out the supposed savings verses the extra miles you were better off with the more expensive branded fuels, as for me I will never use supermarket fuels simply because its false economy let alone the effects it may have on performance and engine wear. Personally, i've found that certain brands of fuel make the engine run hotter/colder which leads to 'pinking' (pre ignition). So yes, there are significant differences that could ultimately cause damage to your valves at least. So basically after reading your write up we're /I'm no more well informed. As someone who represents the thoughts of Motoring.co.uk I would have thought a more researched piece which got at the nitty gritty of what difference there is if any. We all know that Shell 'V' power gives better performance/milage,but at circa 6/7p per Ltr extra so it should. Broadly, the article is right, when it talks of British Standards and different additives and so on. However, other comments are slightly off beam, perhaps this might help?. All tankers load from the same loading arms? Largely true; HOWEVER, each supplier (Shell, BP, Tesco, etc) arranges for their own additive to be injected into the fuel in-line BEFORE the fuel is metered. So, the amount measured into the tanker allows for the additive volume and so there would be no 'additional' liquid in the truck. Hence, no 'dipstick showing overfill'. Some additives burning more cleanly than others? Our labs confirmed this regularly. Another common belief is that company A fuel gives better MPG than company B's. Some additives MAY appear to give this effect, but much more significant is the driver's right foot. Also, winter and summer fuels (to allow for different ambient temperatures in the different seasons) and different densities of fuel (depending on which crude it came from) also influence the fuel's MPG. The energy content of a fuel is related to its density, volume for volume. Typically, a summer fuel is capable of yielding better MPG than a winter fuel (winter fuels - especially diesel - are often less dense than summer fuels) but would you notice it in real life conditions? Most unlikely. What fuel do I use? I tend to vary suppliers. I use supermarket fuel for alternate tanks to keep costs down, and major brand fuel (I use the ones in the industry with the best reputation) to keep some of the better additives running through my fuel system. Hope this helps. I got into premium fuel when I had my Audi A4 Avant, I noticed in winter that when I first started up and reversed it stalled, I was advised to try using She'll V Power and from the first tankful it stopped doing it. I also noticed an increase in miles per tankful, I've now been using She'll V Power exclusively n my further Saudis and won't buy anything else. My partner has done the same with our Insignia and it definitely runs better. I have noticed a consistantly significant diference in mileage between supermarket fuel and branded fuel, when using a tank full with my outboard engine on the dingy. Branded fuel goes further. Although this is past tense as i no longer have an out-board or dingy but do not use supermarkets for fuel because of this experience. EVO magazine did a test some years ago, taking various cars with various fuelling histories and mileages. Using an endoscope they took pictures of the backs of valves from each engine. A car run exclusively on supernarket fuel had black tar like deposits on the backs of the valves. Running on branded fuel for a certain number of miles (forget test duration) and they cleaned up. A new engie run on the branded fuel, same distance, hardly any difference from new. Without the filth on the valves that engine must perform more efficiently. Have seen 10-15% better economy on V-Power Nitro diesel than ordinary Shell diesel. I have found that Shell Vpower diesel really does improve mpg and run the engine quieter. This has been true of a Peugeot 406 TD and a Citroen C5 HDI. I wasn't pleased to find this out as I previously had been very sniffy about the 'obvious con' of charging 8p per litre extra. Using Sainsbury diesel after using Tesco's I noticed I got more to the gallon but after a short time my engine was sluggish when cold as the injectors seemed blocked up, so went and filled up with Tesco's again and the engine behaved much better which indicated that Sainsburys additives didn't do my engine any favours when cold. Your comments above regarding the observation of supermarket tankers loading alongside Branded tankers are correct , however the branded fuels have an additive injected into them at the loading point, so the fuels are not the same, the supermarket fuels don't have the additives injected and are therefore just a base fuel, Just to clear that one up!!! I try to fill my car with the cheapest diesel. More recently I have been drawn into using Sainsbury's due to their promotions. After over forty years of driving I have never had a fuelling problem. However I always ensure I drive the car in such a way to keep the DPF clear. I have noticed the car is more fuel efficient and responsive after a long drive. Had bad Supermarket Fuel Twice, wouldn't use again. My old Mondeo loves Morrisons fuel. It coughs and chugs if I give it anything else! I only use tesco or shell 99 octane in my subaru. No difference at all. My diesel citroen does the same mpg on premium and cheap diesel, it's not worth chucking the expensive stuff in, same with all my previous diesels as well. Also run a corsa petrol turbo, that's happy on any fuel as well. I too am getting Concerned over the odd penny or two that shows before delivery. I suggest a word with trading standards if it's noticeable. Having worked for 30 years as a fuel pump service engineer i have never heard such rubbish as commented by Credz.Every supermarket fuel pump is checked/sealed/ passed by trading standards officers before public use.May i suggest if he has any complaints then phone them. I used to live near the Shell Stanlow refinery from where the "lesser branded" tankers were seen filling up before delivery to their respective outlets. On that basis I think that the advertising sell of special additives is pure myth. If you are worried about the quality of supermarket fuels then at each fill up take a sample bottle for (fuel)analysis in case your engine malfunctions. I think you would soon tire of all the little bottles kicking around! There is another school of thought and backed up by my own figures that gasoil bought in France has a higher calorific value than UK diesel. Importantly, it is cheaper! You pays your money, you takes your choice. My car requires minimum 97RON. I always use Tesco Momentum. My car, which is a highly tuned 200BHP 1.4L, runs as sweet as nut, far better than corresponding BP or Esso. Sainsbury's & Morrisons are a no no for my car. I have owned Mercedes, Lexus, Jaguars, Fords over the last 40 years and currently have a Lexus and an MX5. All my petrol has been bought from supermarkets, my local ASDA currently being by far the cheapest and fastest to respond to a drop in prices. I have never had a fuel based problem and, in fact, have never had a mechanical problem in the last 20 years. The negative publicity regarding supermarket fuel is just sour grapes from the major brands and independent stations. If they returned to providing a personal filling service to justify their higher prices, many more of our ageing population would patronise them rather than save a few pence on their monthly fill up. Without a doubt if you use the more expensive diesel it is more economical than the cheaper one.It will cost you considerably more to fill up but if you work out cost per mile you'll find you make a saving. The quality of the fuel at one of my local supermarkets does not concern me, however the fact that the dial on the pump has reached 18p before I feel any fuel going through the pump does concern me. Filling up 2 or 3 times a week loses a good 60p. Have tried to report this but was passed from pillar to post so many times that I now just boycott the supermarket, which by the way is the 4 letter named green one. Belong to the branded camp myself. Diesels with dpf fitted didn't regenerate as often and ran smoother when on branded fuel. Petrols seem to run just a little bit better on branded fuel. Just the way it feels, could be the placebo effect who knows. I have used supermarket petrol for many years. I bought a Vectra brand new in 2008 and in 2011 it started giving me a serious problem in cold weather. When pulling away from cold, as soon as second gear is selected, the car almost stalled. In effect, it acted like an emergency stop, but without any brakelights to warn other road users. This was alarming. I've had my car in and out of garage after garage, including different Vauxhall garages and no one could find a fault. The problem became worse over time and started happening whatever the weather. This summer, I made a trip 400 miles from home, where I stayed for a week. The supermarket chain I use did not have a presence there, so I used alternative suppliers and on the way home I used a different supplier again. The problem did not recur until I went back to the supermarket, as I had 20p per litre off. I experienced the problem again the next morning and continued to be an issue until I'd used up that tank of fuel. I have resolved not to use the supermarket fuel ever again. I have used supermarket fuel (T-co) for well over 20yrs. All my 4 diesels cars have ONLY used this and they all ran ok. Servicing never showed problems. life of engines to my knowledge is ok all still running fine (new owners / keepers) I do use a diesel additive though at all full tank (from 1/4 fill up's) this improves starting, MPG's and power response on driving. I drive motorways and "A" roads during everyday drives.